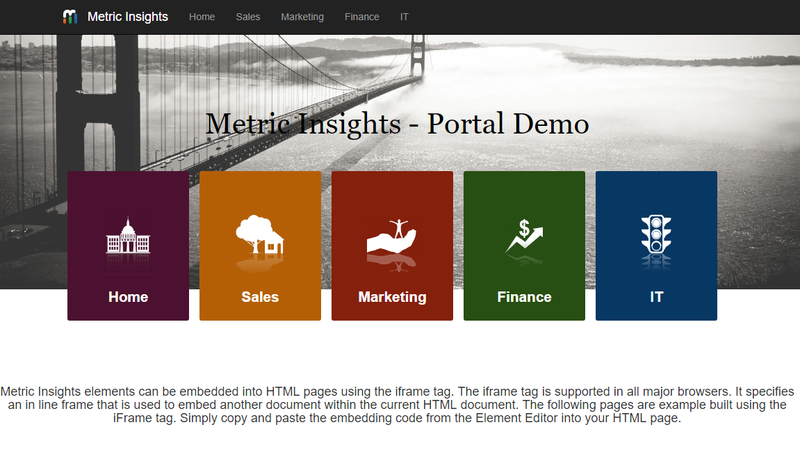 Metric Insight elements can be embedded into HTML pages using the IFrame (Inline Frame). The IFrame tag is supported in all major browsers. It specifies an in line frame that is used to embed another document within the current HTML document. 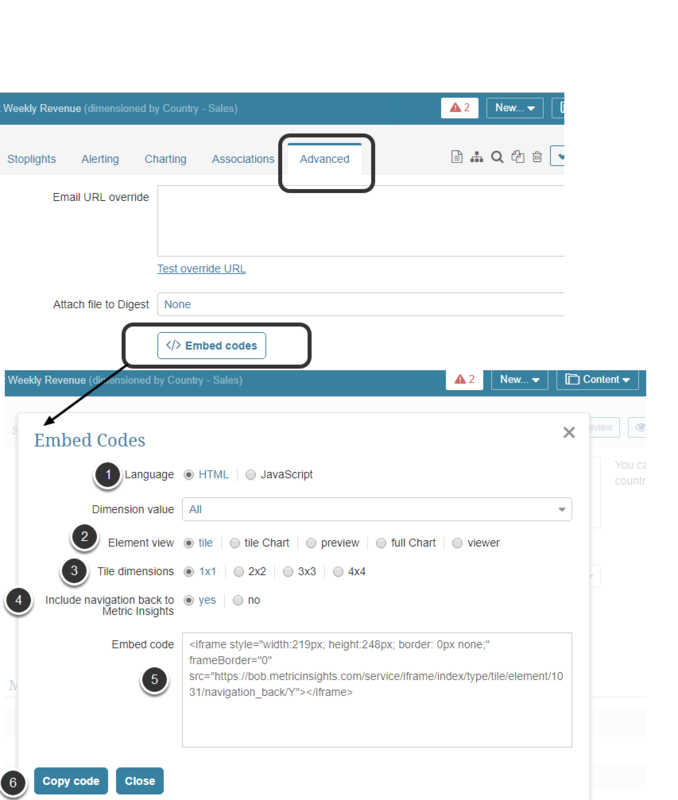 Simply copy and paste the embedding code from the Element Editor into your HTML page. 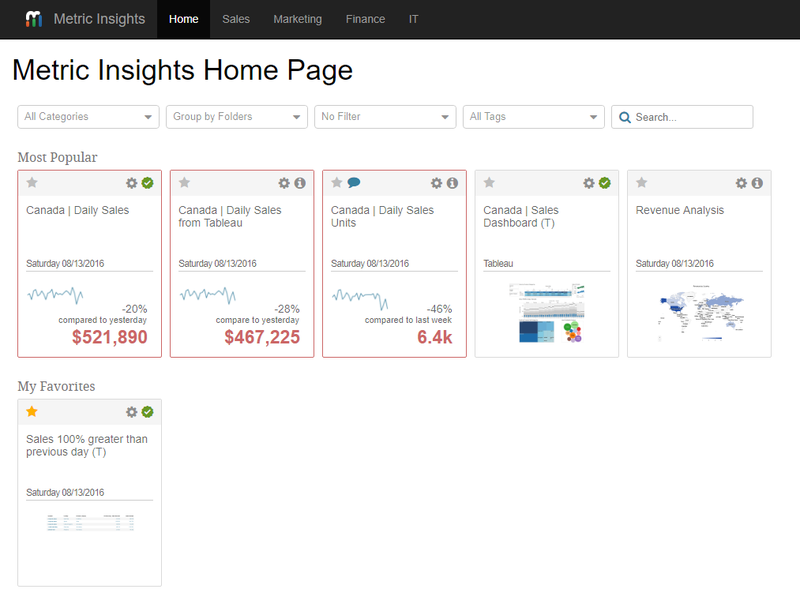 Here is the Metric Insights HTML sample for Tiles. This is the snippet of code from the sample page.